It's 23:12 in Waikiki Beach, USA right now. Waikiki Beach Marriott Resort A nice view from the Waikiki Beach Marriott Resort. 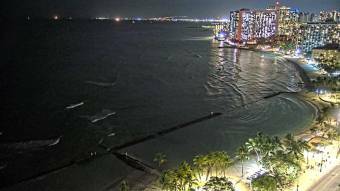 Waikiki Beach, Hawaii: Hyatt Regency Waikiki Beach Resort & Spa, 0 miles away.